Happy New Year! Here is Your Healthy Vegan Recipe! 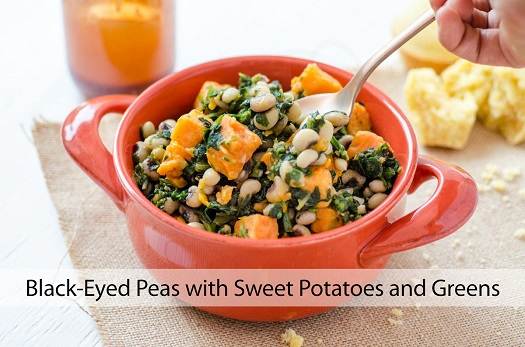 Black-Eyed Peas with Sweet Potatoes & Greens! A few dashes liquid smoke. 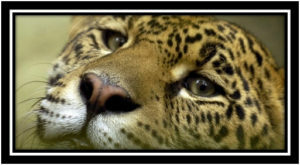 Author Justamis2015Posted on January 1, 2019 Categories Animals in the NewsLeave a comment on Happy New Year! Here is Your Healthy Vegan Recipe! Black-Eyed Peas with Sweet Potatoes & Greens! You can use store-bought salad dressings, but making your own is often more affordable, and it’s fun to craft your own flavor! We especially love this vinaigrette over roasted beets, broccoli, or a grain salad. Enjoy! Whisk all ingredients together. 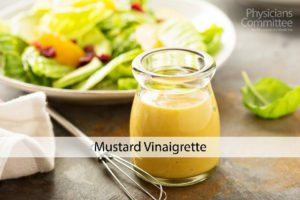 Use as a dressing for salads and for steamed vegetables. Source: Food for Life by Neal Barnard, M.D. ; recipe by Jennifer Raymond, M.S., R.D. 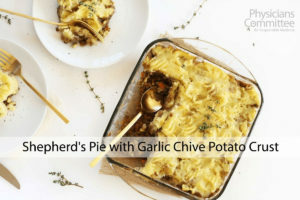 This classic recipe uses a simple filling of carrots and peas, topped with a decadent yet healthful garlic chive potato crust. It’s the perfect dish to wow your guests at your next dinner party! Place potatoes and garlic cloves into a large pot and cover with water. Cover with a lid, bring to a boil, then reduce to a simmer. Cook until potatoes are tender, about 10 minutes. While potatoes cook, start working on the filling. Heat a wide pan over medium-high heat. Add diced veggies, cover, and let brown for 3 to 4 minutes. When onions are starting to brown, add the tomato paste, rosemary, and sage. Stir well to combine, cover, and cook 1 to 2 minutes, until tomato paste darkens. Add the brown rice flour and stir well to coat all of the veggies. Cook until flour is no longer white, just another minute or two. Before the flour burns, add 2 cups of water (or vegetable stock). Use a wooden spoon to scrape up any bits from the bottom of the pan. Partially cover and simmer for about 10 minutes. Check to make sure your carrots are tender but not mushy. Remove the lid to cook off excess liquid. Simmer until thick and stew-like. Remove from heat. When potatoes are done, check that they can easily slide off a paring knife. Drain and return to your hot pot. Add the almond milk, salt, pepper, nutritional yeast, garlic powder, and chives. Use a potato masher to mash well. Pour stew mixture into 4 individual pie tins (or use one larger tin for sharing). Spread the mashed potatoes over the stew mix. Place under the broiler for 4 to 5 minutes, until golden on top. Chef’s Tips: You can easily scale this recipe down or up. Using individual pie tins allows for single-portion sizes, perfect for prepping your meals on the weekend and simply reheating during the week. 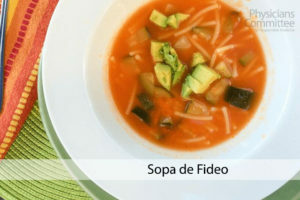 We think you’ll love this traditional Mexican soup as much as we do! It is wonderful and satisfying, with or without the optional avocado. In a medium pot, bring the vegetable broth to a boil and then set aside. Heat a large pot over medium-low heat. Once hot, add noodles and stir. Continue to cook until lightly toasted and golden brown, about 3 minutes. While the noodles are browning, place the tomatoes, onion, garlic, and 2 cups of the vegetable stock in the blender and process until smooth. Strain this mixture directly into the golden noodles still in the hot pot. Stir to prevent the noodles from sticking, and simmer for 1 minute. Add the rest of your stock and boil until noodles are al dente, stirring often. Season with salt and pepper. Set a medium sauté pan to medium-high heat. Add zucchini and sauté in water for 3 to 4 minutes, until tender. Season with salt and pepper. Add to soup, top with optional avocado, and serve. This soup is loaded with flavor and nutrients, without oil or salt! Whisk together the tahini, water, and lemon juice. To make roasted spaghetti squash soup bowls, preheat oven to 375 F. Cut spaghetti squash in half and remove seeds with spoon. Brush with the lemon tahini mixture and place cut side down on a parchment-lined baking sheet. Bake for 35 to 45 minutes, depending on the size of your squash. The edges should just be starting to brown. If your oven isn’t already preheated for baking spaghetti squash bowls, preheat to 375 F. Line a baking sheet with parchment paper. Arrange the trimmed asparagus, sliced shallots, and garlic on the baking sheet and brush with the lemon tahini mixture. Sprinkle with salt and pepper and toss to coat. Bake for 20 to 25 minutes, or until just starting to brown. Remove from oven and set aside. You will have leftover sauce that you can reserve for a soup drizzle. In large pot, add vegetable stock and almond milk. Cook over medium heat for about 5 minutes. Add the reserved shallots and garlic cloves along with the frozen peas and cook for another 5 to 7 minutes, stirring well. Add the nutritional yeast and salt and pepper to taste. Put the roasted asparagus spears in a high-speed blender. Pour the pea soup mixture on top. Blend for about 2 minutes or until thoroughly creamy. Return to pot over low heat and adjust seasonings as you see fit. Chef’s Notes: Fill your spaghetti squash bowls with soup and serve with a spoon and fork. 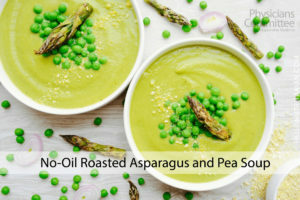 Top with corn, peas, or asparagus spears, or drizzle with the remaining lemon tahini sauce. Vegan Recipe of the Week – Don’t let the word “Vegan” scare you away – These recipes are Delicious! These recipes are graciously given to us from Dr. Neal Barnard, founder of Physicians Committee for Responsible Medicine. 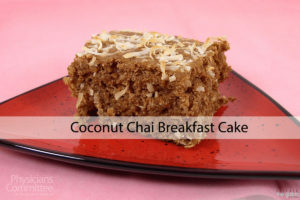 If you haven’t baked with chai tea before, you’re in for a real treat with this perfectly balanced breakfast cake. Reminiscent of coffee cake, this one has just the right amount of sweetness and spice. Prepare the chai ahead of time by steeping two chai tea bags in one cup of boiling water until cool. Preheat oven to 350 F. Grease an 8-inch square baking pan. Combine the dry ingredients (oatmeal through sugar) in a medium-sized mixing bowl. Add the chai, applesauce, vinegar, extracts, and all but 2 tablespoons of the flaked coconut. Mix well, and pour the batter into the prepared pan. Sprinkle with the reserved coconut and bake for about 25 minutes, or until a tester inserted into the center of the cake comes out clean. Serve warm or at room temperature. Author Justamis2015Posted on October 16, 2018 October 16, 2018 Categories Animals in the NewsLeave a comment on Vegan Recipe of the Week – Don’t let the word “Vegan” scare you away – These recipes are Delicious! Let me share a New York Times article about moving chimpanzees out of laboratories and into sanctuaries. Getting to this point was a big job. It actually started with a group of chimpanzees in New Mexico who were going to be taken out of retirement and put back into research. We were alerted by local activists, and we worked with then-Governor Bill Richardson and several members of Congress to halt the transfer as soon as we could. The next step was to convene an Institute of Medicine panel to opine on whether chimpanzees were needed at all in research. We had to do a lot of work behind the scenes to kick out bad panel members, buteventuallythe Institute of Medicine did indeed conclude that there was no need for experimentation on chimpanzees. With that in hand, it was reasonably easy to convince the NIH to pull the plug on its chimpanzee research, and the retirement process began. So, in the scheme of things, it was a rather quick victory, even though each piece of it took a lot of doing. We worked a lot with the folks in New Mexico, and HSUS was helpful on Capitol Hill. So it was very much a group effort—and that includes you. We could not do this work without your generous support. Thank you! 9/18/17 – Update – Skye is Wagging His Tail! Skye is a young dog that lived in Europe and all he wanted to do was play. On one fateful day, his owner took a sharp-edged object and brought it down with so much force that he took off half of Skye’s face. 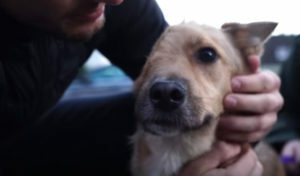 The owners no longer wanted Skye and he was rescued by an adoption center. He could not open his mouth because the nerves were damaged. He needed to be fed with a tube. 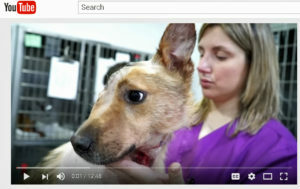 The adoption center put his picture on the internet as being one of the dogs that were up for adoption. However, the picture they displayed was of the other side of his face. He was shipped to Germany to his new owners. A young couple had adopted him and, as you can imagine, were horrified when they saw him. They also instantly fell in love with him. No vet would take him. All of them said to put him down. The owners would not do that. Somehow they learned of Viktor Larkhill, who lives in Spain. If anyone could help Skye, it was Viktor. 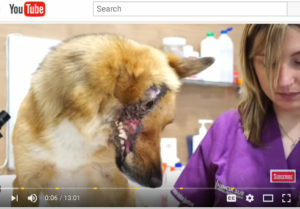 It was a long road with many surgeries, but the team of veterinarians that Viktor works with will always help an animal in need. They are some of the finest surgeons in the world. Even knowing this, I thought, perhaps, Skye should have been put out of his misery. He looked so sad and I know he was afraid. Not to mention, the pain he must have been in. Yet, he never even whimpered. I am so happy and overjoyed to the point of tears, to say I was wrong. Skye was taken back to the young couple that adopted him. And he already had a K-9 buddy there, a big loveable Burmese Mountain Dog, who was overjoyed to see his buddy Skye. The young couple was crying with joy and were so gentle and loving to Skye. They could not stop kissing Skye and reassuring him that he was home and he was so loved. This may sound funny, but when I saw Skye go over to the bushes, lift his leg and pee, I knew that he knew he was home. He was doing what a confident dog would do., mark his territory. But the most joyful sight, and when I knew I had been wrong, was when I saw Skye’s little tail began to wag. It was a visceral happiness, but that was the only kind of happiness that could have taken the visceral pain I felt for Skye. I have to thank St. Anthony, the patron saint of finding lost objects, for leading Skye’s owners to find Viktor. And St. Francis, the patron saint of animals and the ecology, for healing Skye’s injuries, as well as his heart. In the video, you will also see Cacao the cat, who was also miraculously saved and headed to her new home. I hope you will be as overjoyed as I am. Click Here To See All Of Skye’s Updates And Videos. Red Alert! Brazil’s Leader Wants to Sell Huge Parts of Protected Forests! Red Alert! Brazil’s leader is trying to sell huge chunks of protected Amazon forest to corrupt businessmen in return for political favour — the last was half the size of Germany! But there’s a way we can stop him. He’s already in crisis, suffering from unbelievably low approval ratings and under constant fire in the media for corruption and attacks on the environment. This week, he’s heading to the UN General Assembly to try and drum up a positive round of global press. Let’s ruin his plans by showing up in NYC with two million signatures and a headline-grabbing stunt, and send him home with only one option to save his political career: stop killing the Amazon. Don’t let Brazil kill the Amazon! The Amazon is a living miracle. It’s home to one in ten of the species on Earth, produces more than 20% of our oxygen, and we can’t stop climate change without it. But right now this essential ecosystem and the indigenous people who call it home are paying the price for a dirty political game. President Temer is selling off pieces of the forest for logging and farming to gain political favour from powerful businesspeople and members of Congress. He needs their protection because he’s historically unpopular, and under investigation for corruption himself! Scientists say moves like this could tip the whole Amazon into catastrophic crisis — warning the whole forest ecosystem could collapse! Brazilian Avaazers have a history of making miracles — we helped passed the country’s first sweeping anti-corruption reform, and we helped bring down one of the most “untouchable” politicians who tried to shield himself from public accountability. Now we’ve built one of the biggest national campaigns we’ve ever seen — so let’s take it global and save the Amazon! Author Justamis2015Posted on September 17, 2017 Categories Animals in the NewsLeave a comment on Red Alert! Brazil’s Leader Wants to Sell Huge Parts of Protected Forests! Click Here to sign the Petition! 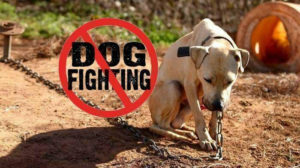 Over the past month, authorities in Lansing, Michigan have seized 53 dogs who were victims of a dog fighting operation.The dogs are currently under the care of the county shelter while evidence is gathered and charges are brought against those involved with the dog fighting ring. Animal advocates have learned that Ingham County officials have petitioned the court for permission to euthanize at least 16 of the dogs, claiming that the dogs are unadoptable. But members of the organization, “Save The Lansing Michigan Pits”, say that the dogs have already suffered enough, and that they deserve a chance at rehabilitation and if possible, adoption by a loving family. 8,000 people have signed the petition urging the court to deny the county’s request to euthanize the dogs. If you think these dogs deserve a chance for rehabilitation and adoption, then please sign the petition today. This email was sent by Change.org to tere@animalinstinctspublications.com, because you are a registered user of Change.org. We’d love to hear from you! Send us feedback or contact us through our help center.